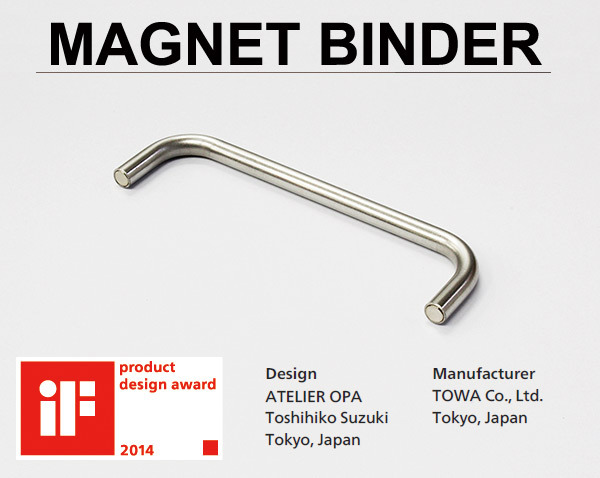 Atelier OPA and Towa Co.,Ltd won if Design Award! We transformed the metallic parts of binder note into wall ornament with neodymium magnets. 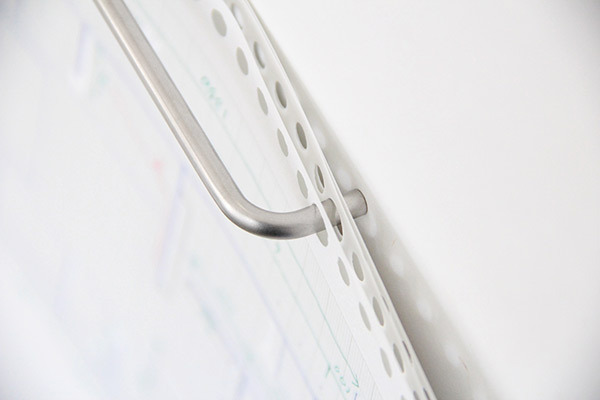 It contains strong two magnets, each 2.3 mm in diameter at opposite ends of 80 mm length pipe. 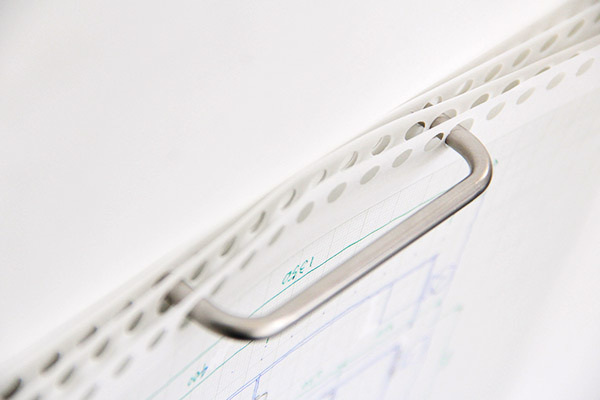 Using this product, a user can bind documents and memos on iron wall. 1. Magnet Binder impales the papers of maximum 120mm. 2. Two magnets fix papers on iron wall. 3. You can hang whatever you using this square handle.